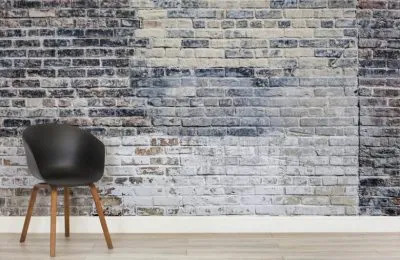 For a unique urban feel evoking the spirit of the city, this realistic masonry effect wallpaper will give any space an open, cultural and on-trend finish. Ideal for dining spaces good enough to die for. 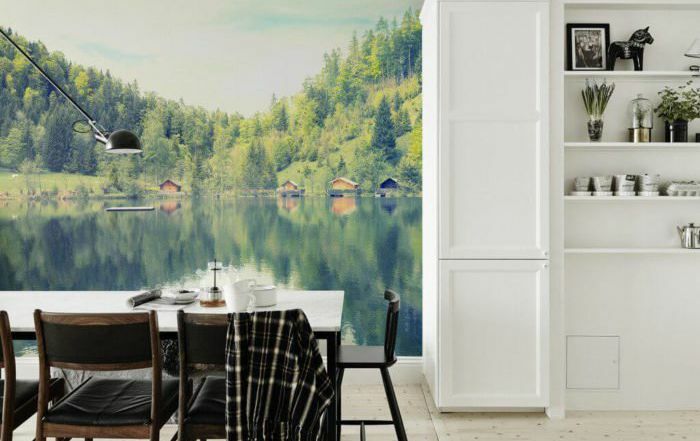 Give your home the European feel with this rustic print wallpaper that is guaranteed to make any kitchen that little bit more continental. 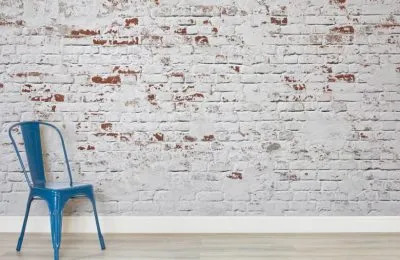 This Italian Cafe style wallpaper will take any space from plain to elegant, instantly. There are some wallpapers that just make you think of band nights, of live gigs and of the magic of music. Abbey Road Brick is just such a wallpaper. Stare at it long enough and you can almost see the bandmates signatures. 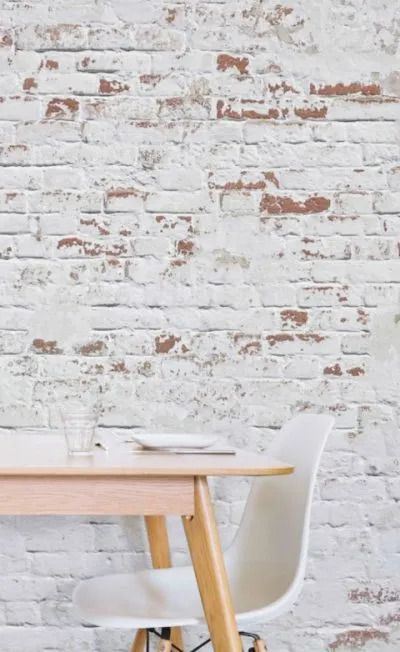 For a naturally airy and light atmosphere in any given room, this spectacularly realistic White-Washed Brick wallpaper makes the perfect addition. Ideal for any partial or budding minimalists; this high-class print will leave lasting good impressions. 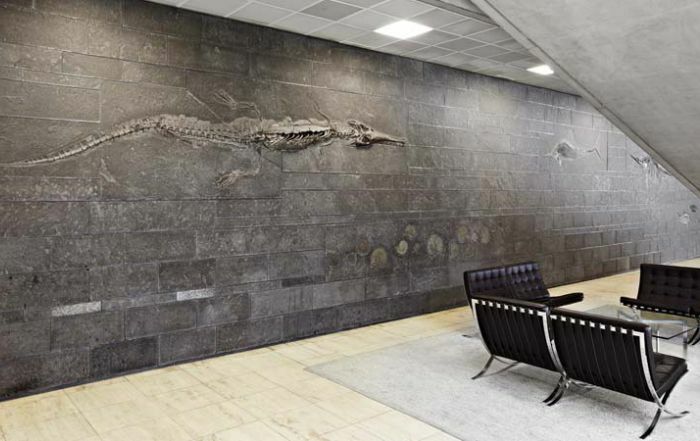 This Tomcat Brick wallpaper is designed to perk up any bachelor pad. The aged alleyway feels to this print gives a hard edge that cuts just the right side of high fashion. 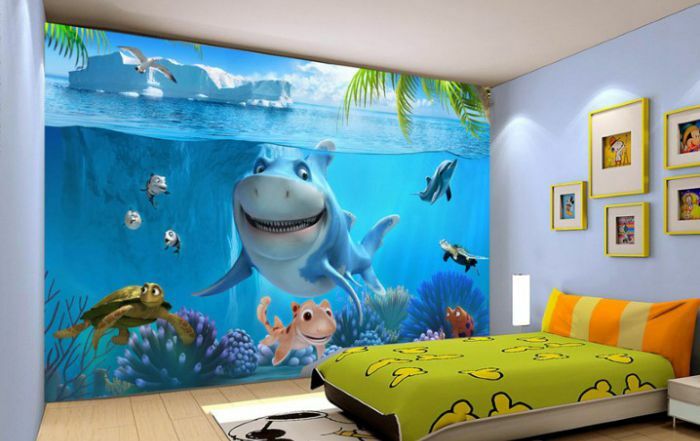 If you want a place that will impress the boys and charm the girls, then you could do a lot worse than to start with this wallpaper. For the cheery optimist among you, we carry a brightening print that still has a minimal, upmarket feel. 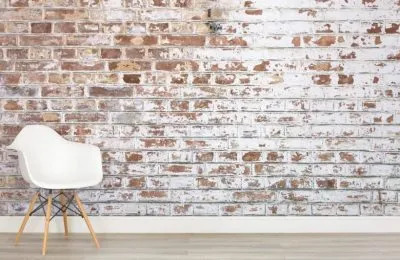 Ideal for kitchens, brilliant for bathrooms and perfect for perking up your home; this Bright-Side Brick print Wallpaper never left anyone feeling low. 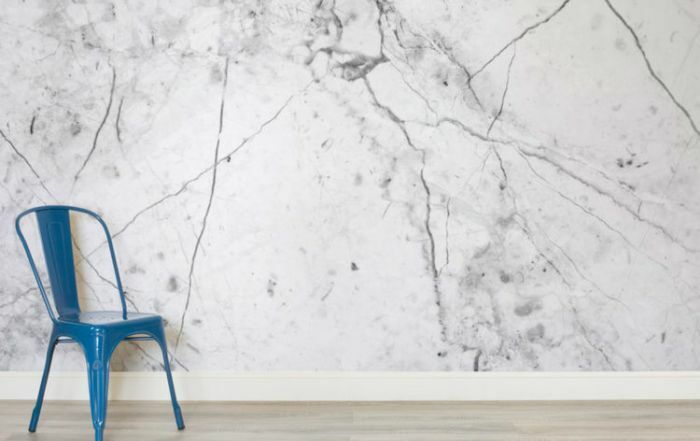 If you are sick of monotone and seeking something in between then this grey stone brick print might be right up your street. This soft blend of whites and greys gives a muted pallet that will cut through any harsh colours just enough to add comfort to your space. This print sports illuminating white with hints of red brick showing through, almost resembling the sunlight as it spills over the rooftops and lights up the city of a morning. 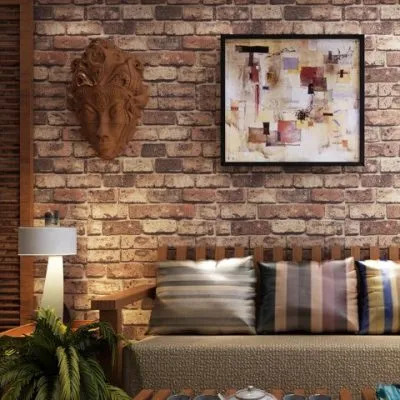 Add some life to your home with this fabulous Sun City Brick Wallpaper print. 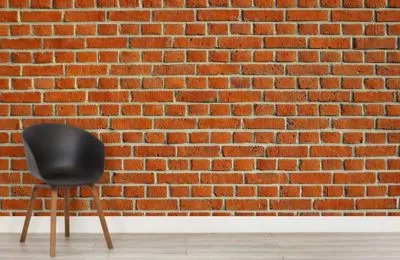 This bright and luminous wallpaper will thrill your friends who simply won’t believe it’s not real brick. 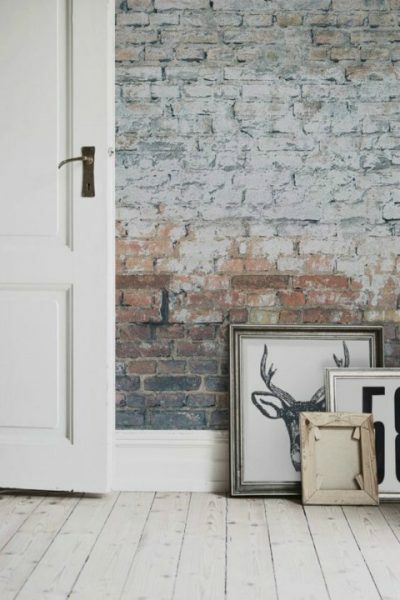 To add a touch of class to any space, this Dash of Orange brick print will modernise any room it is added to. 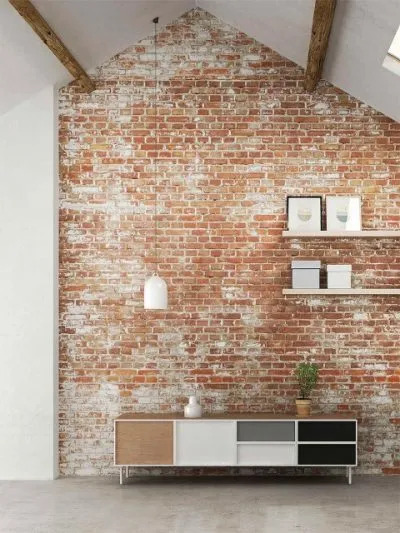 Follow the Red Brick Road with this delightfully industrial design. 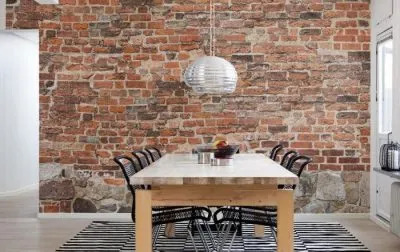 This Red Brick Road Wallpaper gives a striking feel for added punch, making any wall a stand out feature. 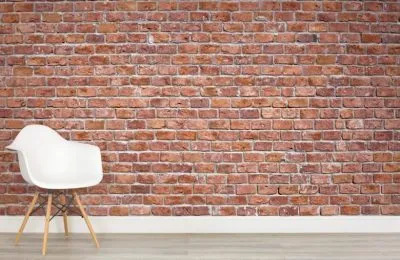 Buy this brick print wallpaper to make your home look like the contractors have perfected your walls. 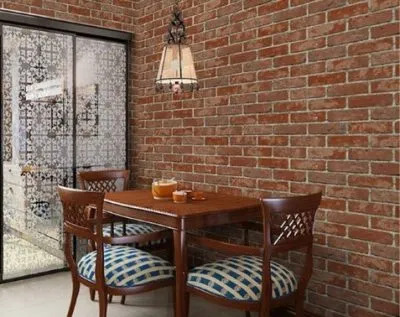 This modular construction print adds a sheer finish and screams of high-end design, you simply cannot go wrong with this Builder’s Business Brick Wallpaper. If you like your oranges muted and your reds less likely to scare then this Subdued Suburbia Wallpaper print. This classic finish adds suburban chic to every scenario, and we simply cannot get enough. 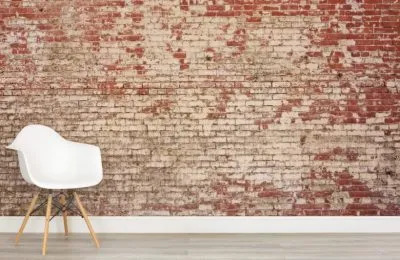 If you want a brick print wallpaper that is going to capture hearts and minds, then this print might be ideal for you. 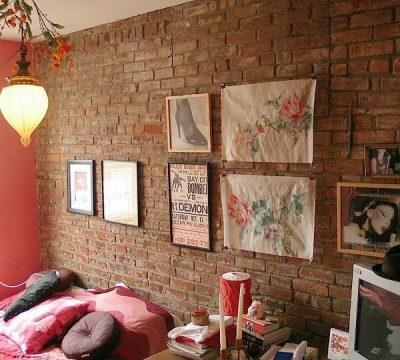 With this Eye-Popping Orange Brick print, you will steal everyone’s attention, and your walls will never be bland again. 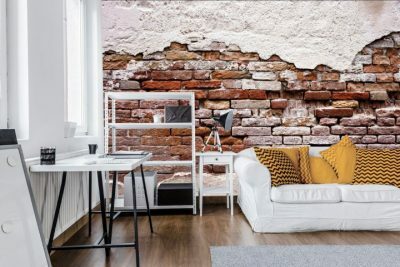 If you love the white-washed prints but really want to retain that super splash of colour, then this Descending Clouds Brick Print might be perfect for you. 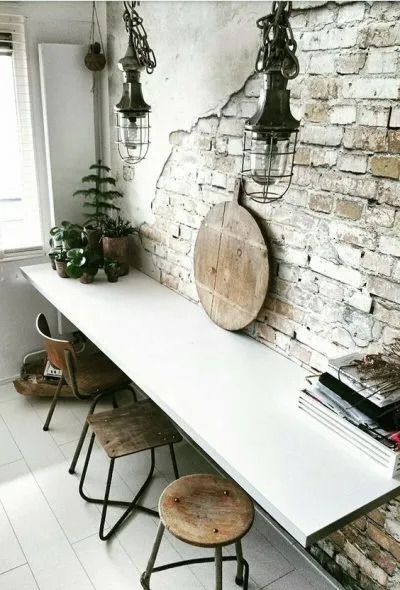 This romantic wallpaper sports a white covering, peeled back to reveal the natural brickwork underneath, adding a shimmer of transcendence to any special space. This formal design updates your walls in a heartbeat, adding the suave styling of the popular, trendy cafe to your home comforts. 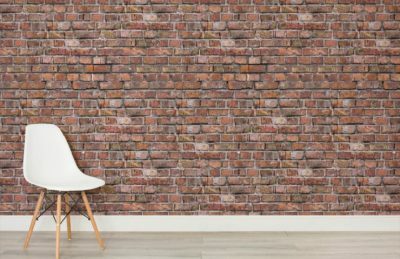 Sleek, stylish, and providing a stunning finish, this brick print could be just your cup of tea. 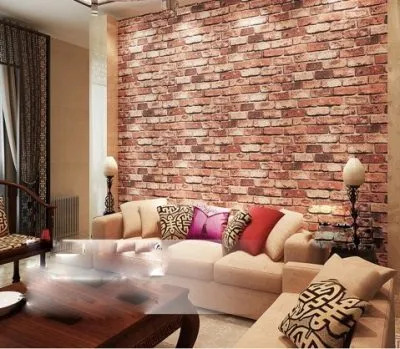 To make the living space cosier you need look no further than this brick print wallpaper. For warming colours that will irradiate a room pick out the red and orange hues of the print and echo them via the furnishings. 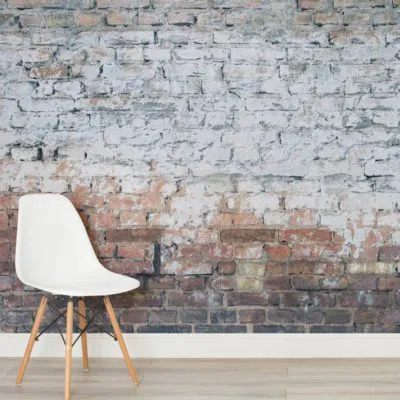 This Calm and Caring print Wallpaper has just enough brick to still have the cold stone feel while retaining a subtle warmth with a calming effect, mostly due to the colours and lack of clutter. This doomsday feels print wallpaper is the perfect choice for any fan of the dystopian. While it is white at the top it descends rather quickly into madness, a little like the world today. 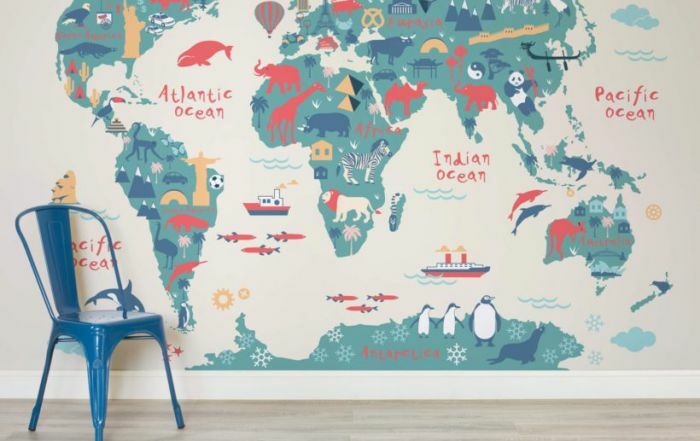 The perfect printed wallpaper for an optimist with a sunny disposition and a good sense of humour. This print sports an array of darker colours, with this distinctive flash of orange and red brick making it a stand out piece on any wall. For that urban feel that retains a high-class sheen, this is the wallpaper that you need in your life. This wartime inspired print sports differing walls built and rebuilt over the top of each other, and will offer the optical illusion of more space to any room it is applied to. Get your army on with this fabulously stylish, space maximization print. 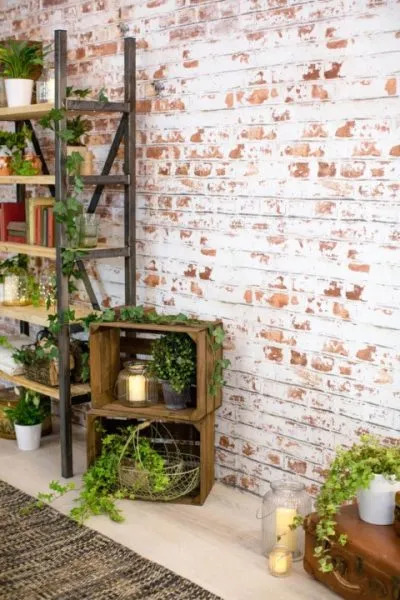 For a fully authentic brick feel with a rustic edge, this Rustic Orange Brick print wallpaper will appeal to any pallet. 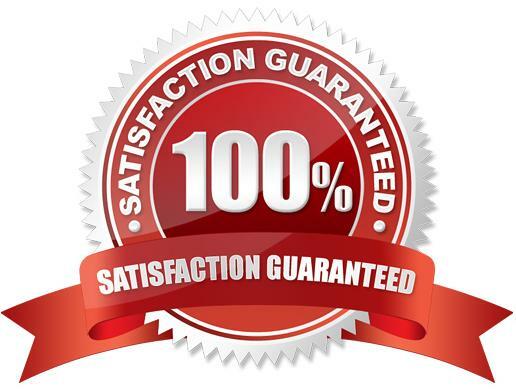 If realism is what you seek then this might be this very best wallpaper to suit your needs. The orange bricks are so lifelike you almost feel that you could reach out and touch cool stone. 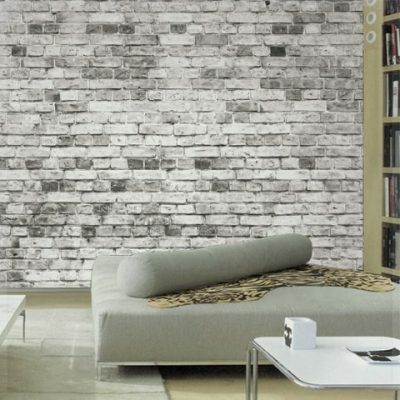 For a professional edge that still looks fresh and new then this brick print is your best bet. 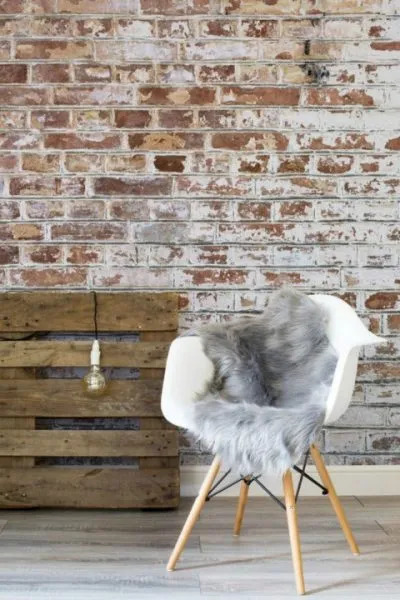 With traditional orange brick and a light dusting of whitewash, this suburban brick print is perfect for any home. If you love the traditional brick finish but loathe red and orange, then this colour scheme might appeal to you. 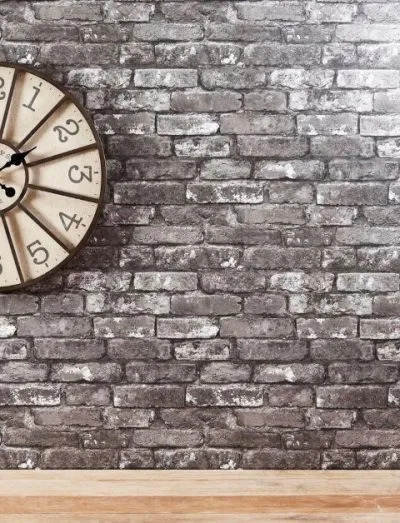 These slate coloured bricks give off an almost silver glint, making it pleasing to the eye and a lovely addition to any metallic-themed space. 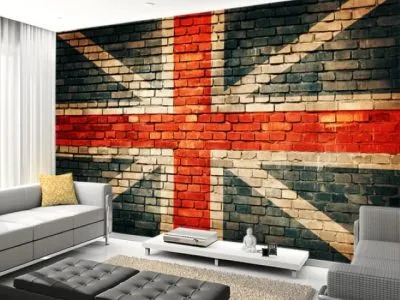 The ideal print for patriots all across the UK, this Union flag inspired wallpaper will wow your guests, give any room a vibrant touch and will create a talking point in any given social situation. 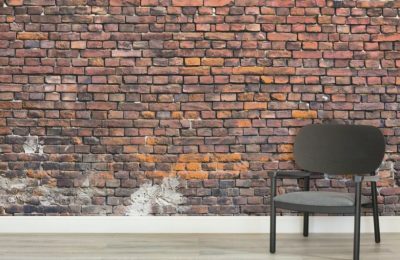 Not for the faint of heart; this A Kingdom United Brick Wallpaper makes a bold statement piece – no matter which wall you place it on.